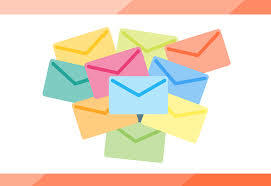 Email blasts are one of the most insightful forms of digital marketing. The statistics that free sites, like MailChimp and Constant Contact, provide open up a world of ideas for how to get your ideas out there fast. Check out these tips to learn how you can grow your email list with quality customers. Leave a sign-up sheet. You’d be surprised how many people will leave their information when you talk about everything your email blasts have to offer. Also print off your social media timeline so clients can get a sneak peak of your awesome feed and gain more followers that way too. Always carry your business card. Yup, this old trick really does work. Business cards provide a tangible way to recall discussions and act as a constant reminder of your business when left on a table or desk. Organize a giveaway. The giveaway can double as a sign up drive to reach goals you’ve set for yourself on how many more people you want to add. Keep track of the data during and after the giveaway to make sure the recruits you got are still engaging with your content. Connect through social media. Encourage people to sign up for your newsletter in the bio of your Instagram and Pinterest. Sprinkle a couple posts in your feed every now and then reminding people to sign up. And don’t forget to reverse the process; always include your social media handles in your email blasts. Don’t give up on bounce backs. That’s right, it’s okay to be pesky. Sometimes reaching out can help troubleshoot, or provide more insight on what your customers want to see. The more you tailor your content to what your customers want, the more excited they will be when they see your notification come through. Have other tips for what’s worked for you? We’d love to hear them! Comment or start a discussion in our Facebook page about how you’ve grown your online following.